SHTF Black Cap - Hat | BUDK.com - Knives & Swords At The Lowest Prices! 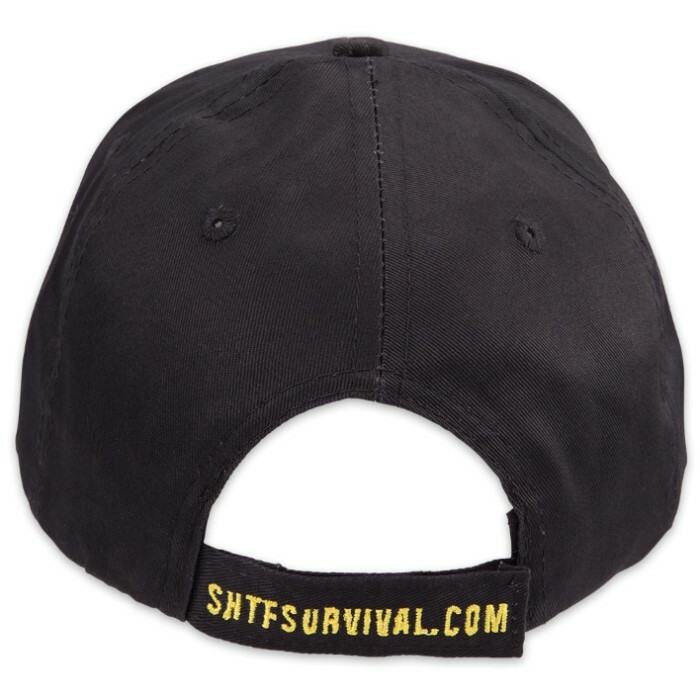 We know that you absolutely want to snap up one of these SHTF Caps before they’re all gone! 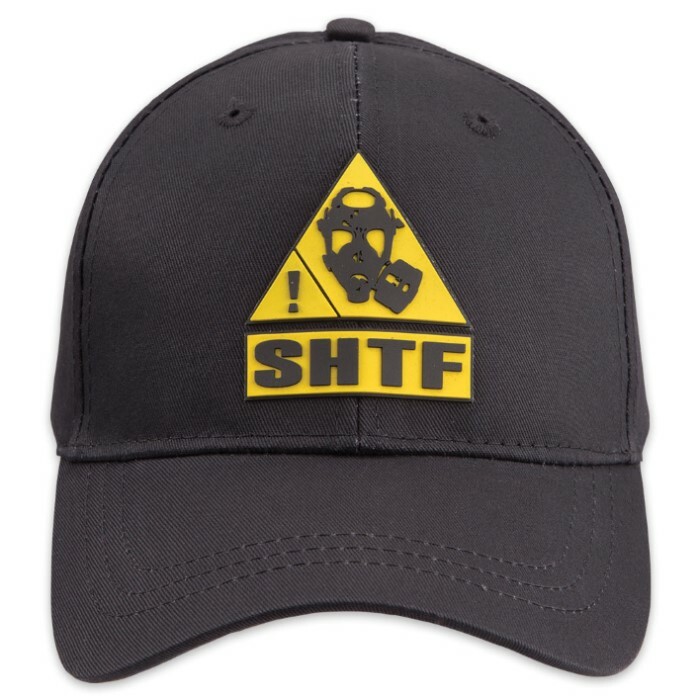 As always, high-quality materials were used in production of this black hat and it is constructed of 100% cotton with the awesome “SHTF” logo embroidered in yellow on the front. A Velcro closure lets you adjust it to fit so that one size fits most. 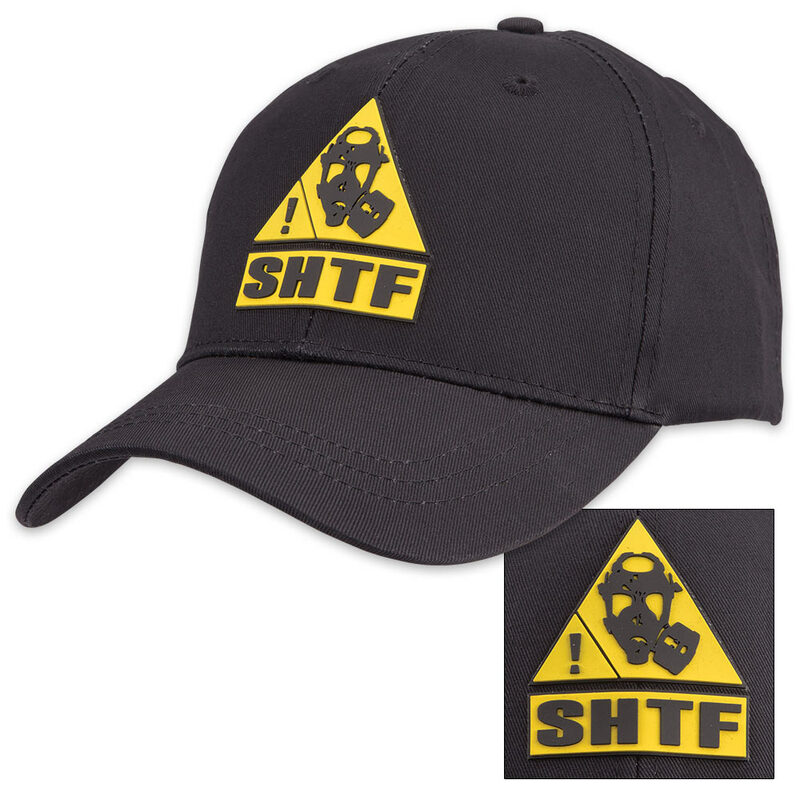 Get our awesome SHTF Cap today! Hat is better than embroidered /Rubber patch on front . Embroidery on back very cool looking hat .